How that is some people become financially independent before they are 50? Or are not shaken by downturns in the economy? Why are some people able to earn high incomes or even have “multiple streams of income? How come some people retire to a life of luxury and world travel, while others barely have enough to feed and house themselves? Let us look at how to make a plan to ensure we succeed. Please CLICK HERE to watch on You Tube. Of course, one part of why some people succeed and not others is that some people are more intelligent and industrious than others. No matter what anyone says, we are not all the same. We may have been created equal, but no one has ever guaranteed us equality of results. That depends on our own efforts. Less obvious, but still a very helpful plan is to become an expert at whatever you choose to do – to make yourself indispensable to your employer. If you work for yourself, you want to be the best at whatever it is you’re doing, from practicing medicine to baking bread. Upgrading your skills requires you to invest in yourself by buying books, paying for courses, seminars and other resources. You must also invest your time to consume, digest and optimize the information for your particular circumstances. Remember, you need to upgrade not just the technical skills but even more important are business management skills if you are in business and career management skills if employed. There is no use in being the cleverest lawyer in town if your legal practice is losing money. That just makes you another starving lawyer! Please CLICK HERE to watch on You Tube. You also have to have the will to persevere and work long hours and through difficult times when nothing seems to be working if you are make yourself a success. It usually does not happen overnight and they say that the darkest hour is just before dawn. Perseverance is the result of passion for what you do. If you are in it just for the money, you are likely to give up when it looks like the money is not coming, which is often just before a big breakthrough! Yet another part of the answer is having a plan. Some people get up in the morning and let events carry them along through their day. Others plan what they will do with their life and stick to it. They will learn about investments and how to diversify, so that when one asset goes down another holds its own or goes up. Or they will hire financial professionals to do the work for them. They save as much money as possible, using every tax sheltered vehicle allowed, registered retirement schemes, home ownership saving schemes and life insurance policies. And then they will invest even more in taxable investments. They live well within their means. Some like Warren Buffet, one of the world’s richest men, lives well under theirs. They will use credit judiciously or not at all making sure that their debts are good debts, building their financial future and not bad debts, destroying it. Successful people will invest in viable businesses that they know how to run, and not throw money at any business idea they are told about by their friends and relatives. Many such friends and relatives are well-meaning but often woefully ignorant and uninformed about the businesses they so liberally dish out advice about. Successful people invest in rental real estate or work part time, while maintaining their full time job just so they have many streams of income. If one is lost, their world does not come to an end. Please CLICK HERE to watch on You Tube. Many people play the lottery and hope they will strike it rich. The sad fact is that many think this is the only way get rich. Unfortunately, trying to get rich quick is usually the surest way of becoming even poorer. No matter what the lottery advertisements say, your chance of winning is so infinitesimally small, it is not worth even thinking about. To make it worse, lotteries and sports betting are a form of gambling which is addictive and which nurtures in you the notion that this is the only way you can become successful which is not true. Anybody with the will can find the right way. The internet is filled with information on how to invest, how to insure yourself, how to set up a financial plan or how to open and run a business. This makes it easy to set up an online business while you continue with your day job. Many employers have tuition reimbursement plans – they will pay your way if you want to better yourself. 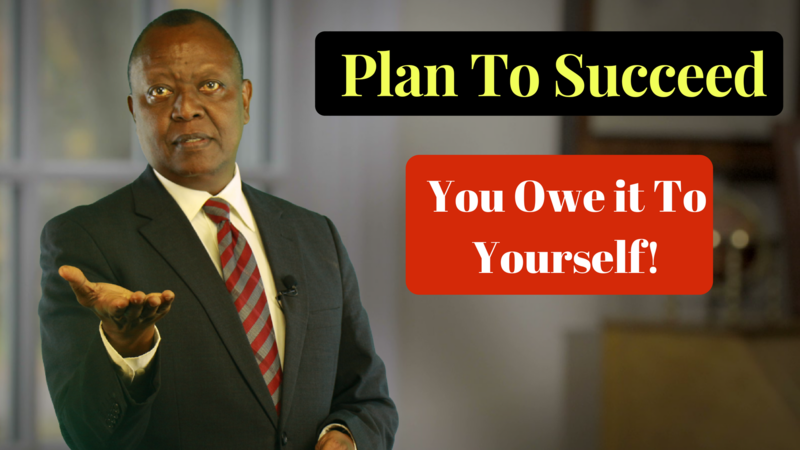 Even if yours does not, you must make room for it in your budget because it is an investment and you owe it to yourself, an investment that will pay itself back many times over in your lifetime. Benjamin Franklin put it this way; “An investment in yourself always pays the best interest”. The bottom line is you have to rely on yourself to earn and save as much as possible. If you do, you can be one of the “lucky” ones who become financially independent while still young with lots of money to spend. If you don’t you’ll be living hand to mouth on your pension. The choice is yours. Please CLICK HERE to watch on You Tube.